The image above shows how to say hello in all the countries of Europe using the most common languages in each country. However below we have put together a list of all the different dialects of European languages we could find. There are some discrepancies. There are a few Russian dialects that are actually outisde of Europe. An example is Tartar. 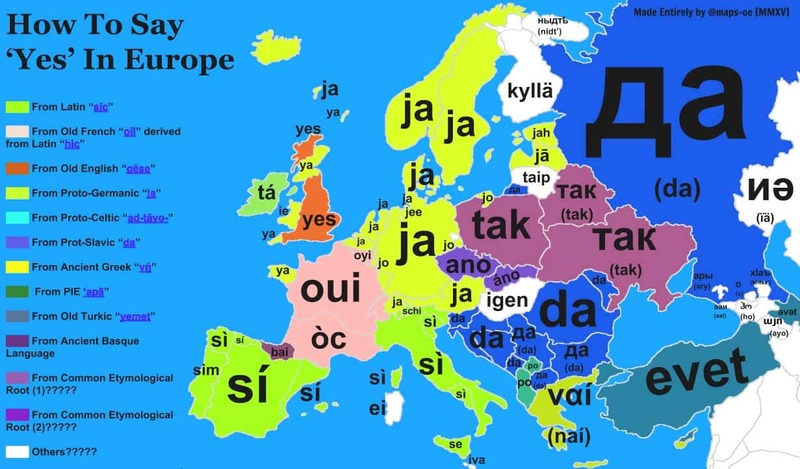 While technically an Asian dialect we have come from a position that if a country (ie Russia) is in at least partly in Europe, then we list all of it’s internal dialects and languages.